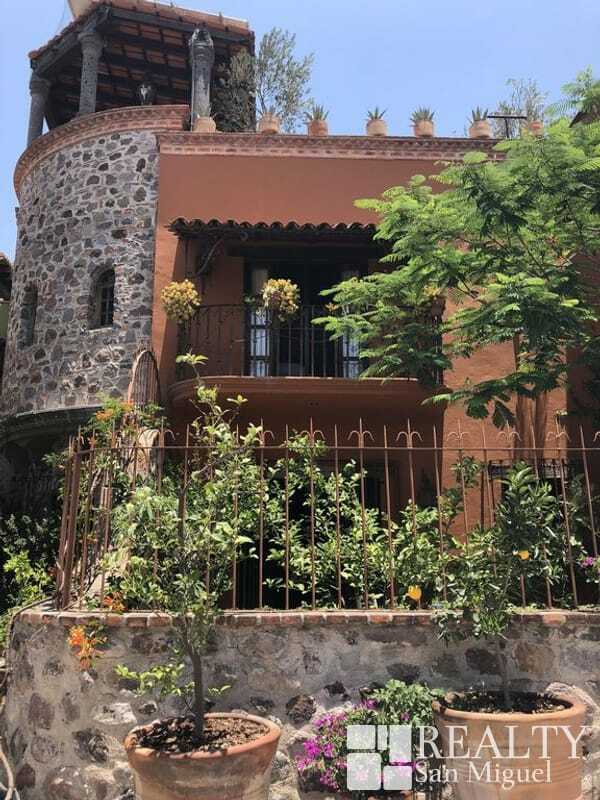 Discover La Fortuna:In the heart of Colonia San Antonio, at the end of Calle Orizaba, it offers a tranquil and organic environment with sunset and town views, ideally located just a 15 minute stroll to the Jardin, the heart and soul of San Miguel. 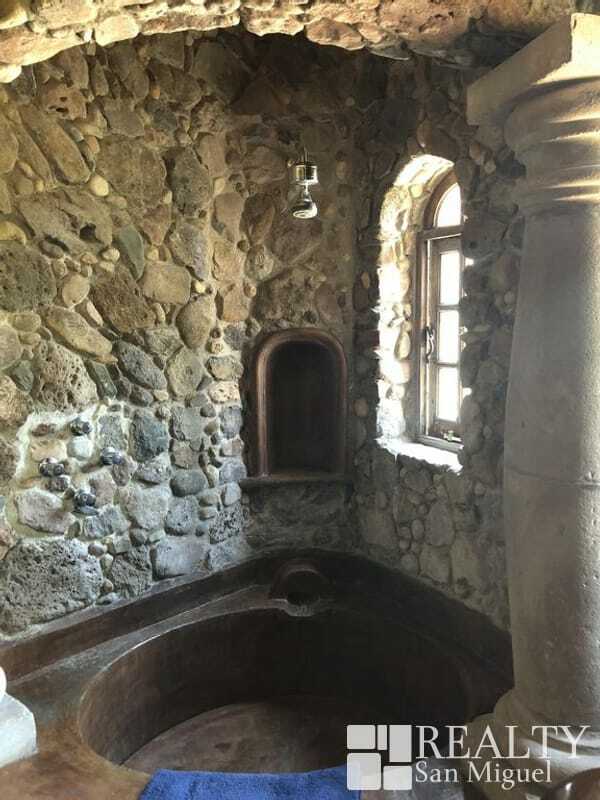 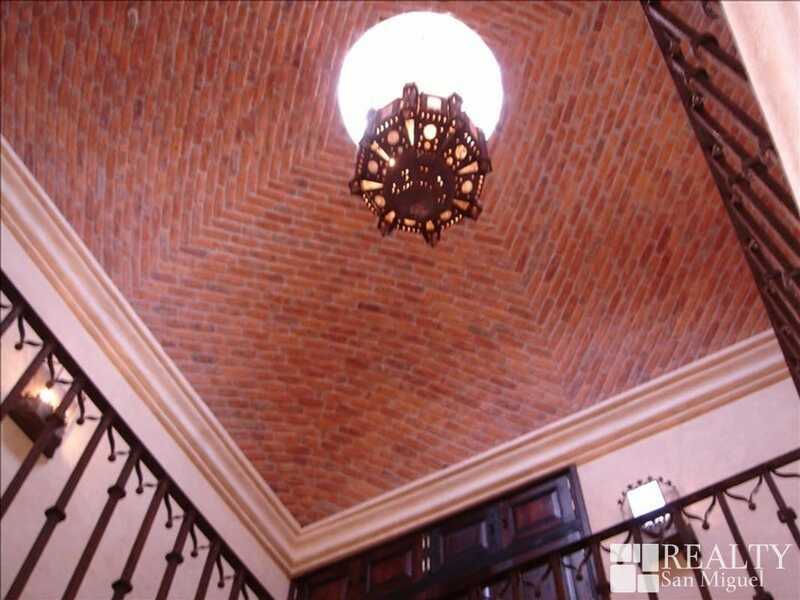 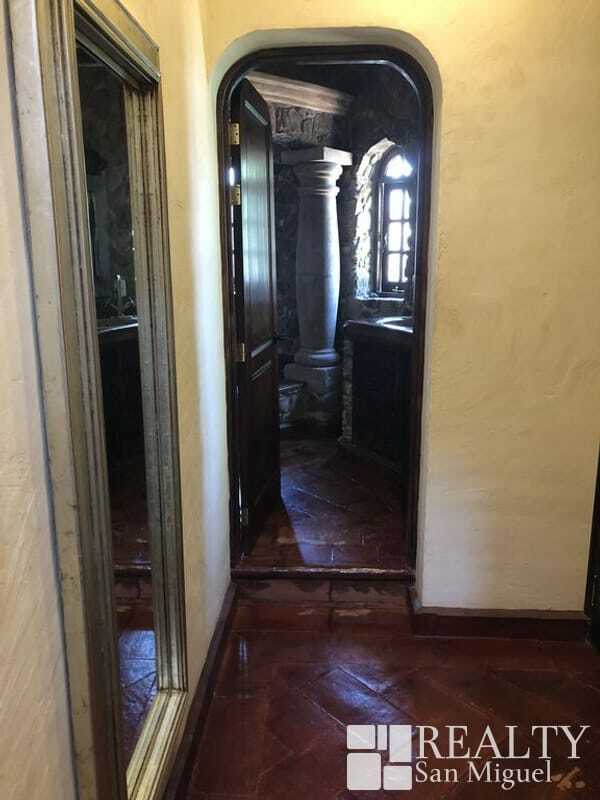 Built using traditional designs and techniques, Casa Fortuna encompasses over 2000 square feet of stone work, boveda ceilings, a cupula in the centre of the home and Sautillo tiles in a herringbone pattern. 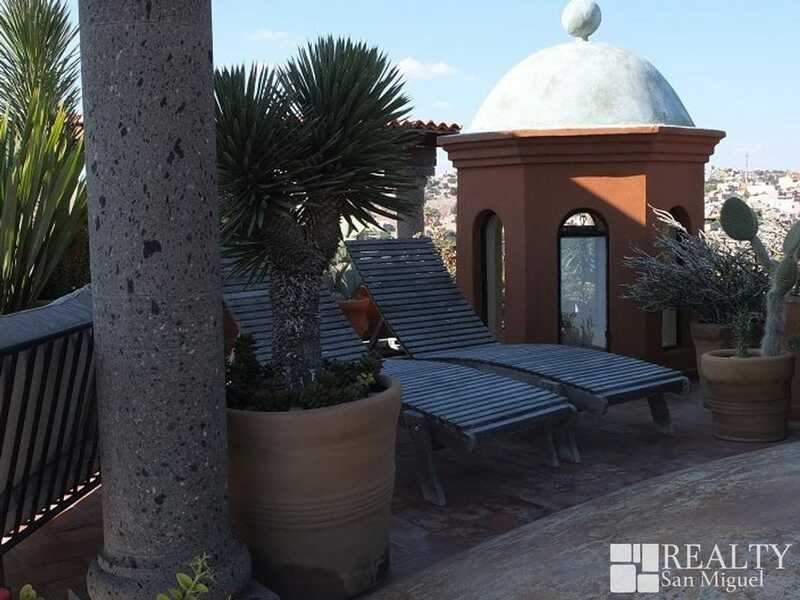 The spectacular rooftop deck is over 500 square feet of uninterrupted views in all directions. 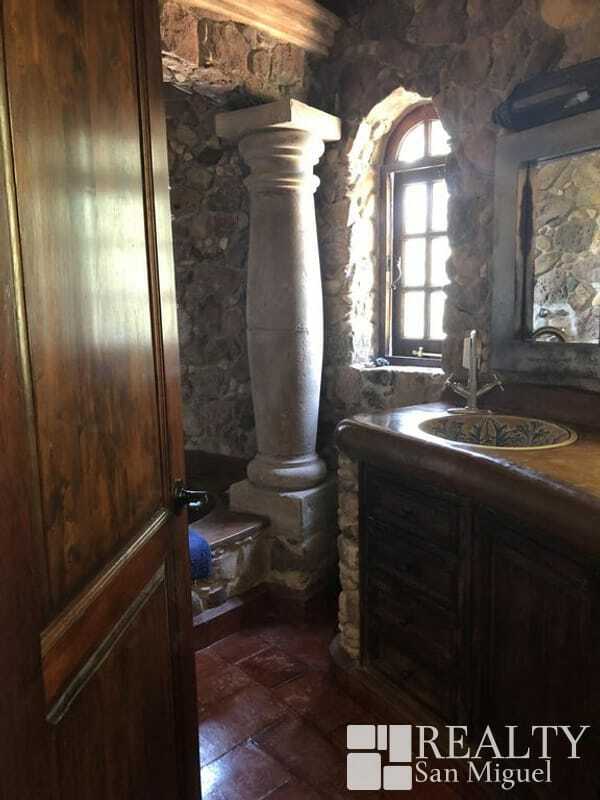 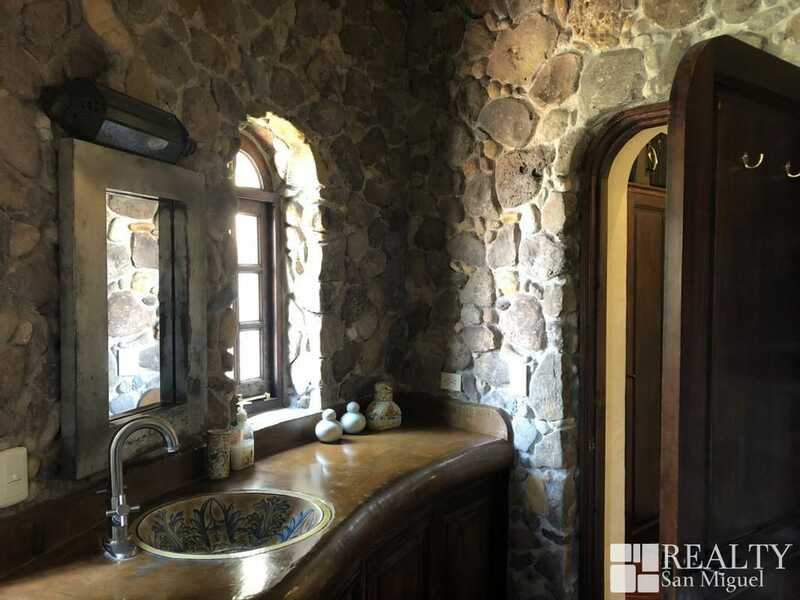 The two ensuite bathrooms are masterpieces of tile and stone work with all of the modern conveniences. 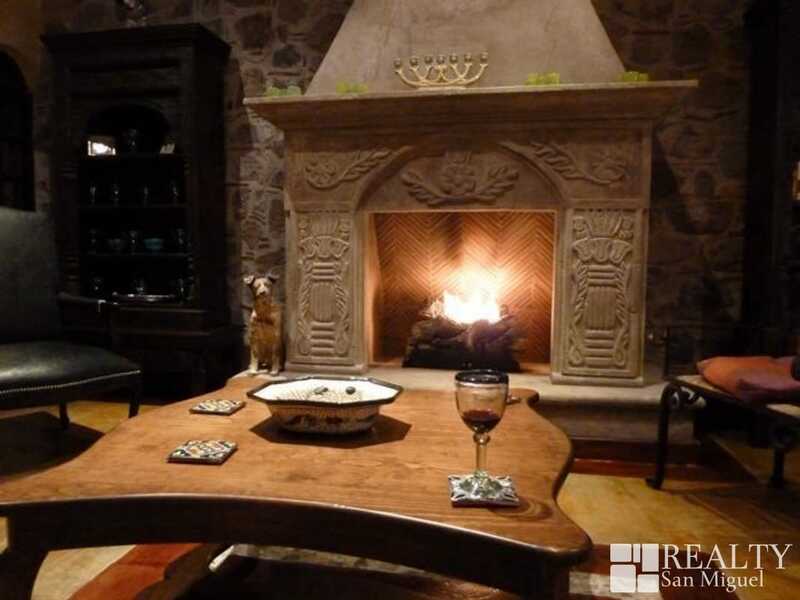 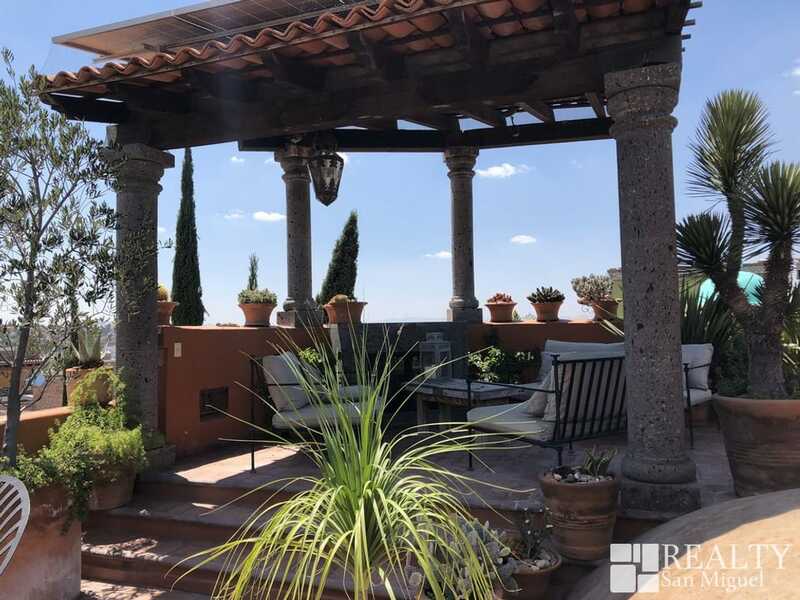 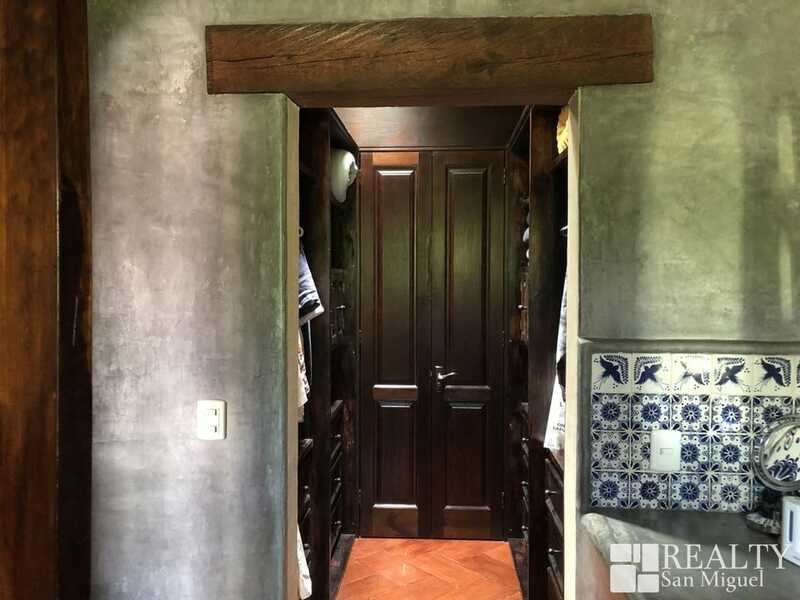 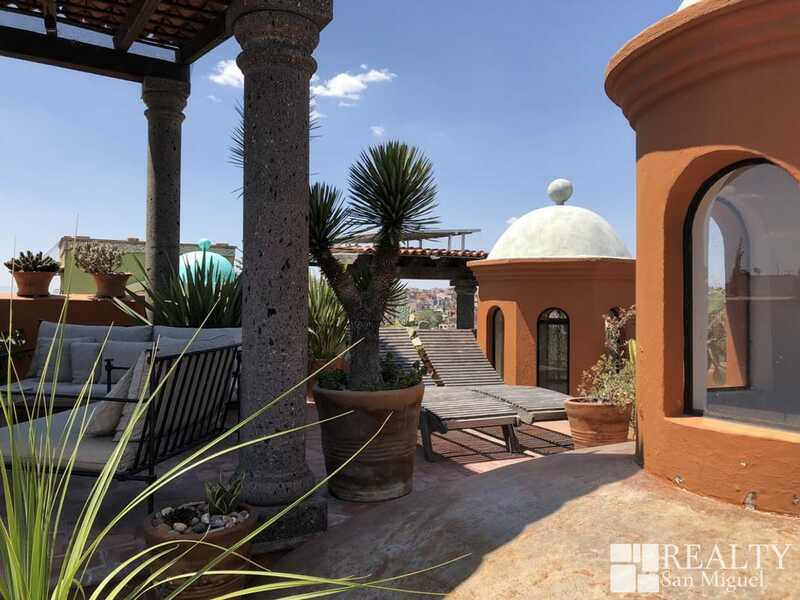 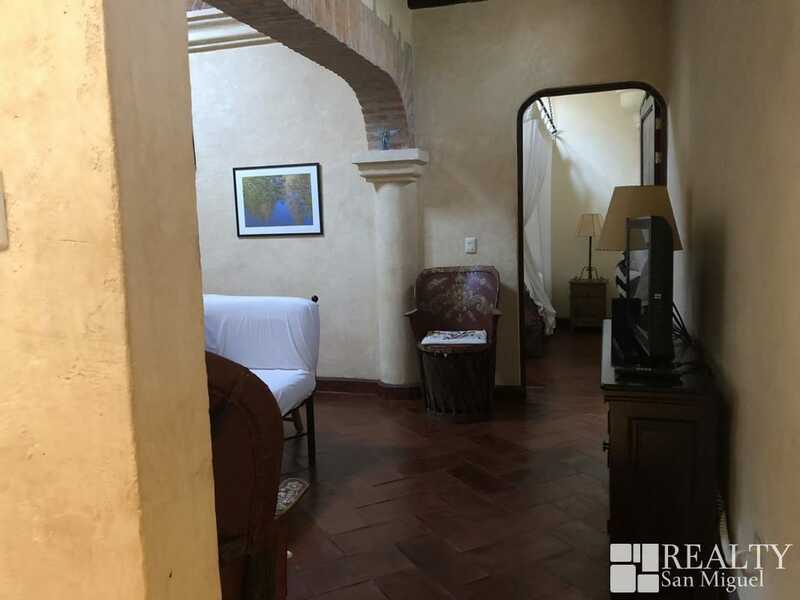 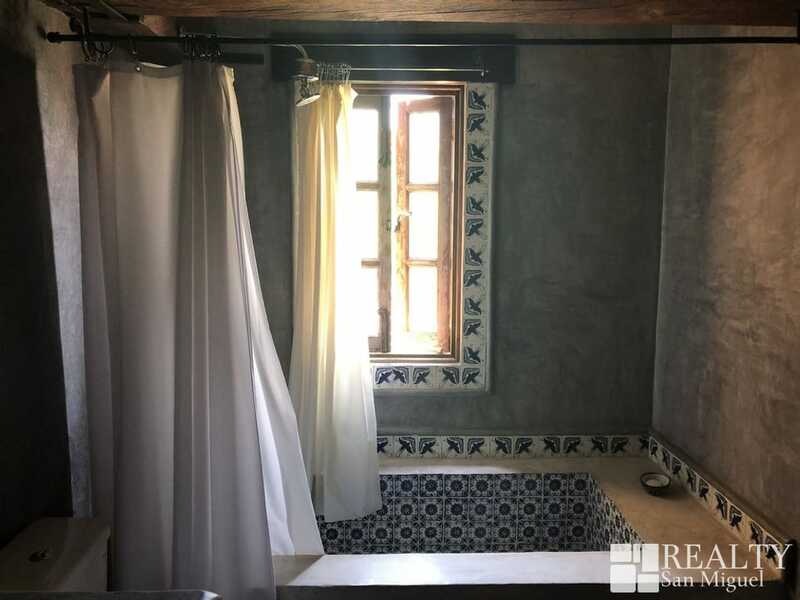 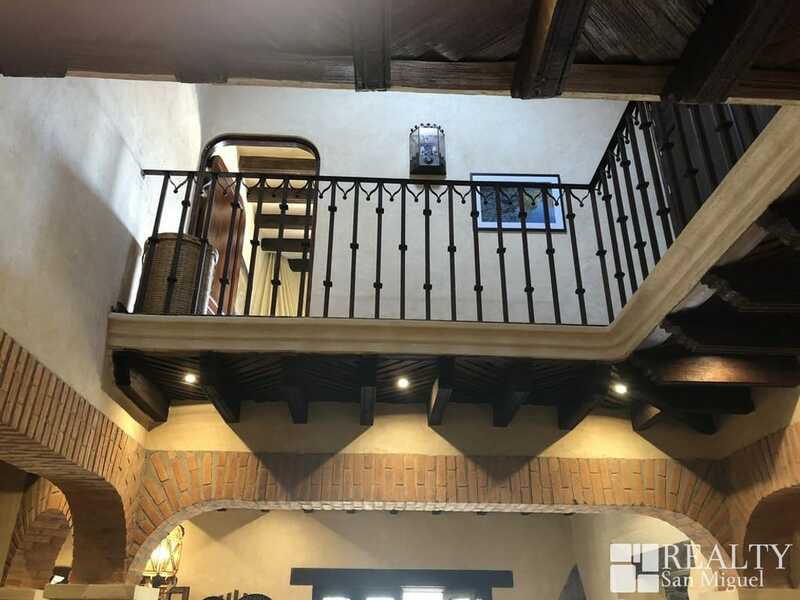 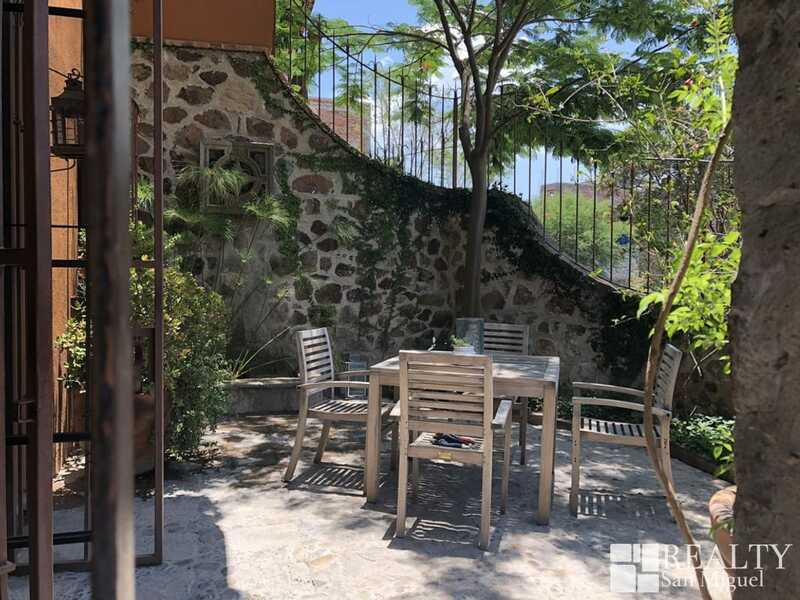 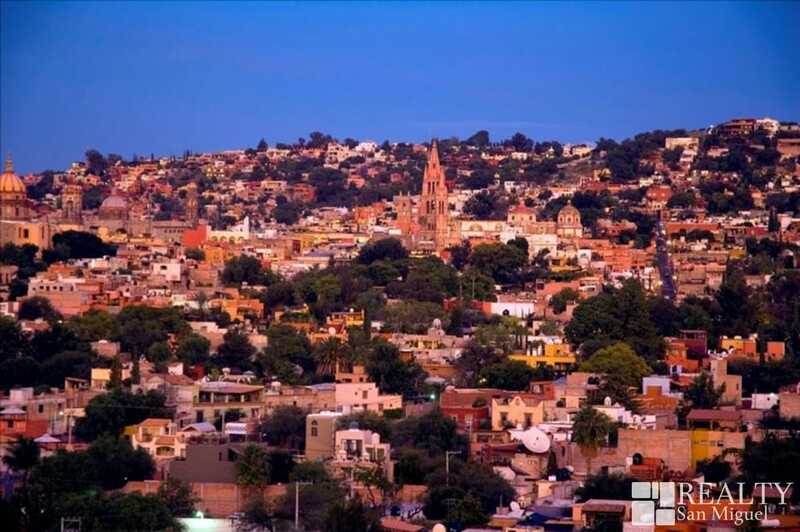 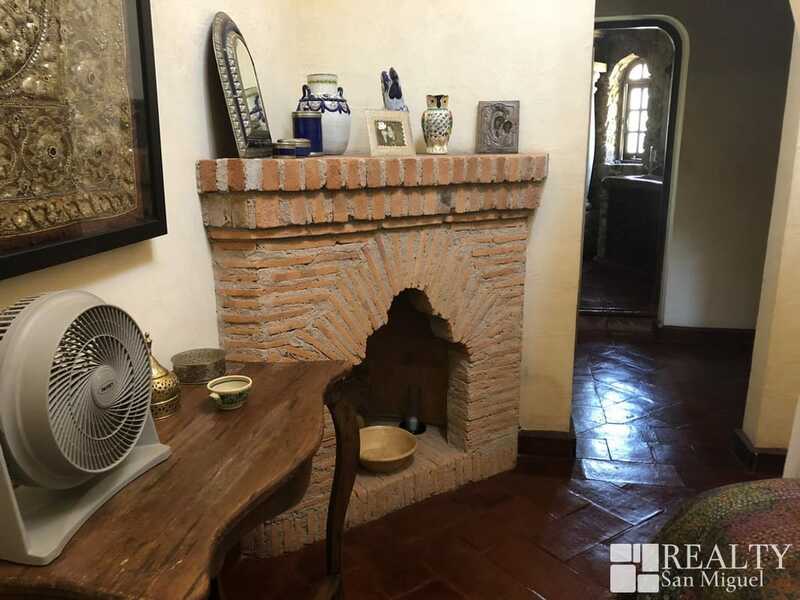 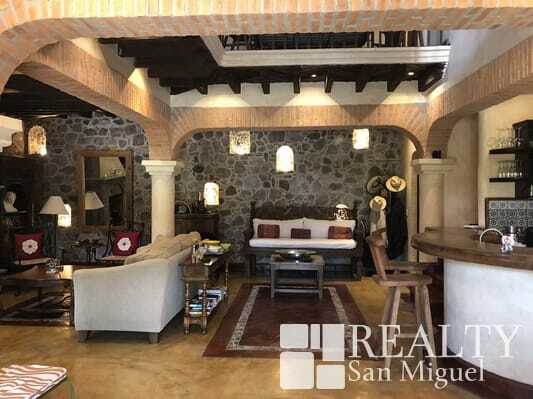 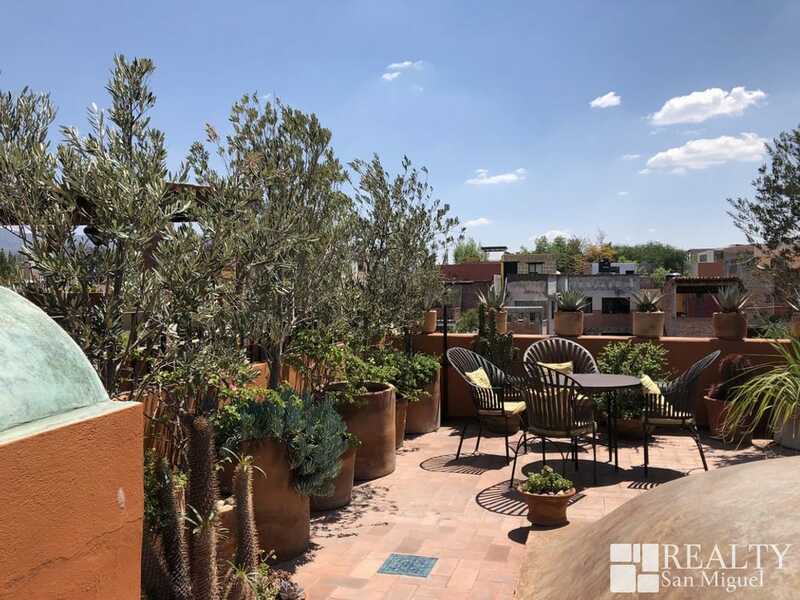 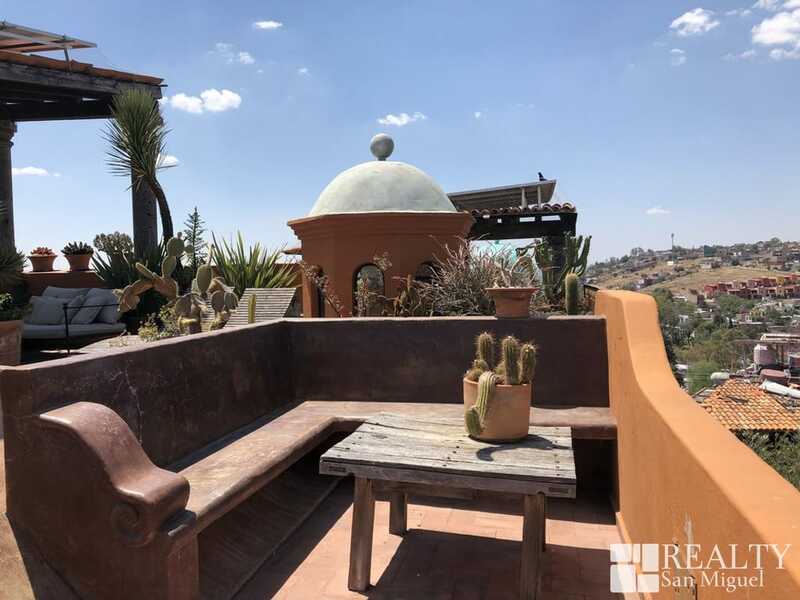 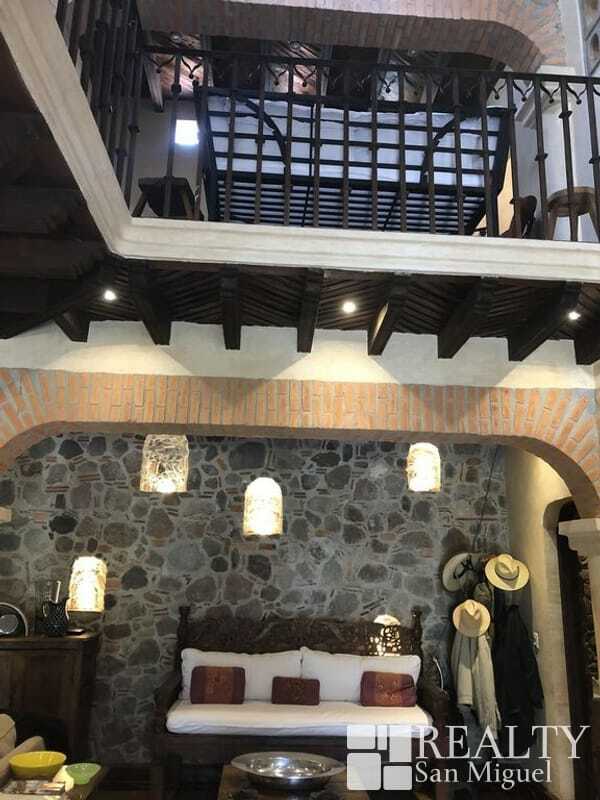 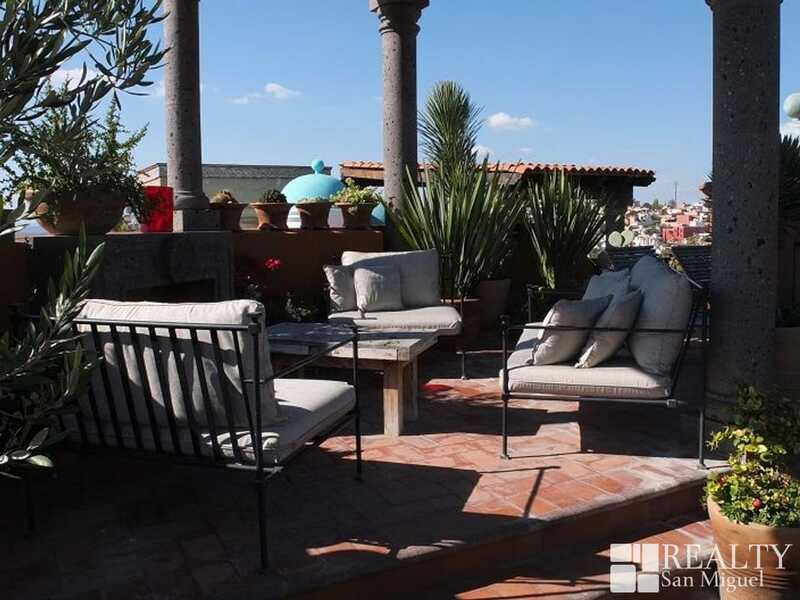 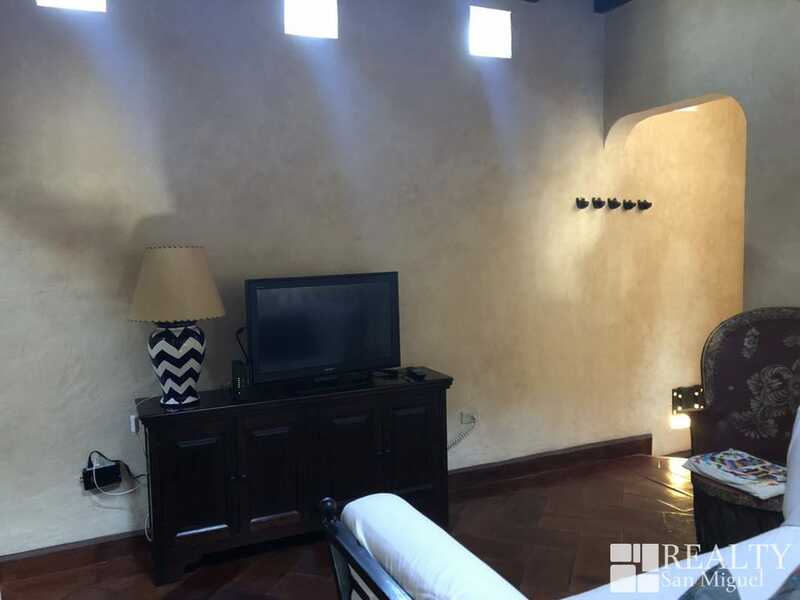 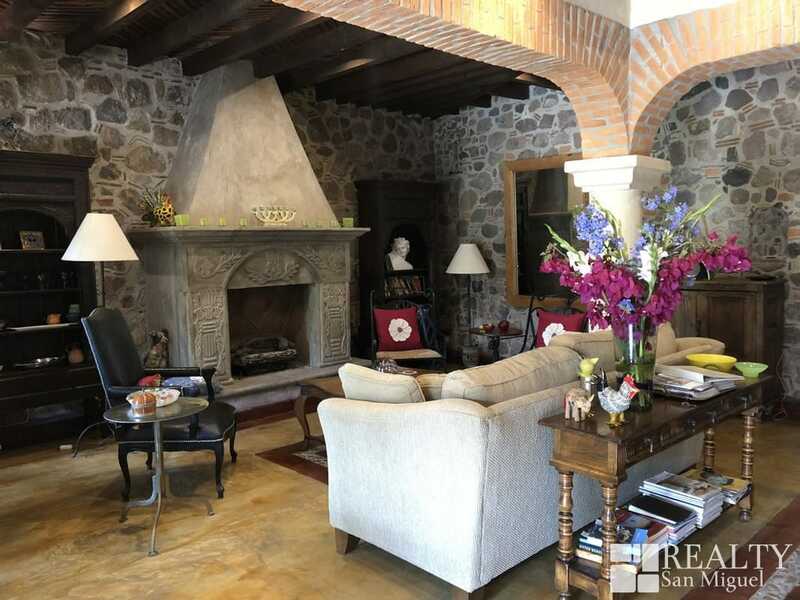 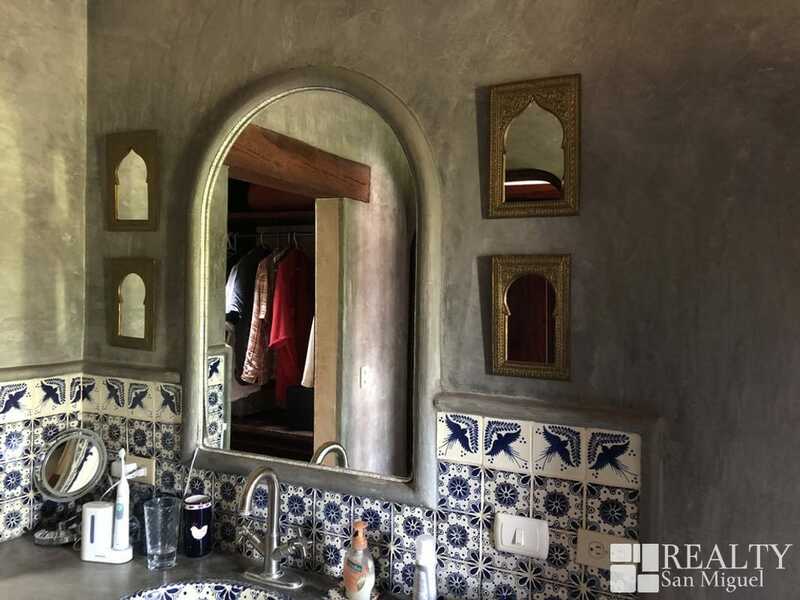 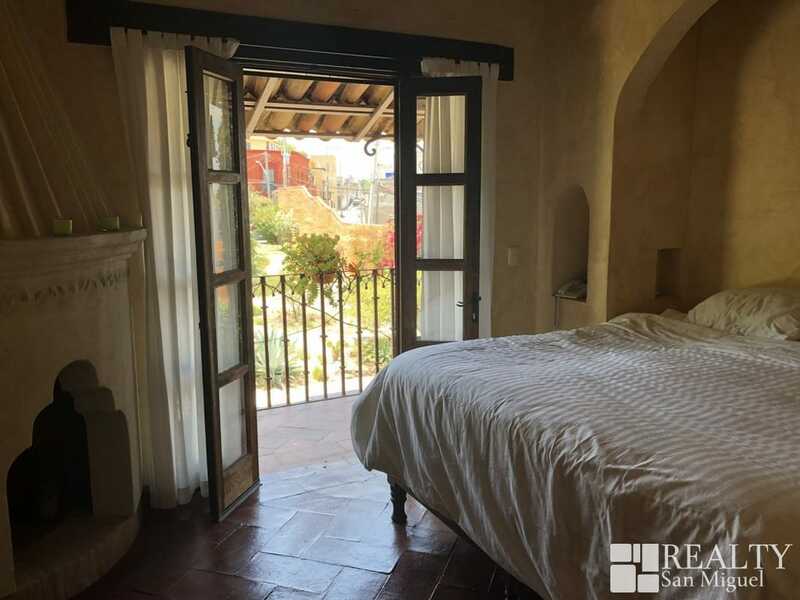 This warm and welcoming home will provide all the amenities and comforts to make your stay in San Miguel a most memorable and cherished time. 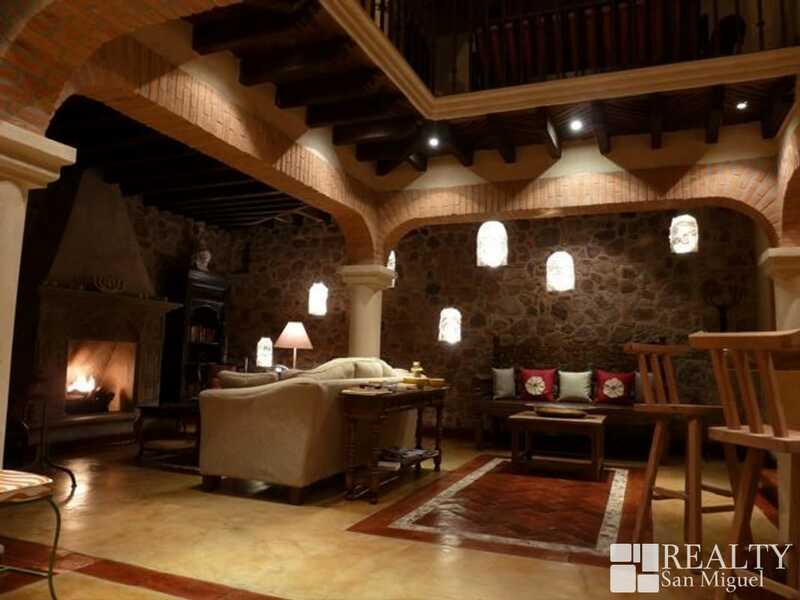 Our home will be your home. 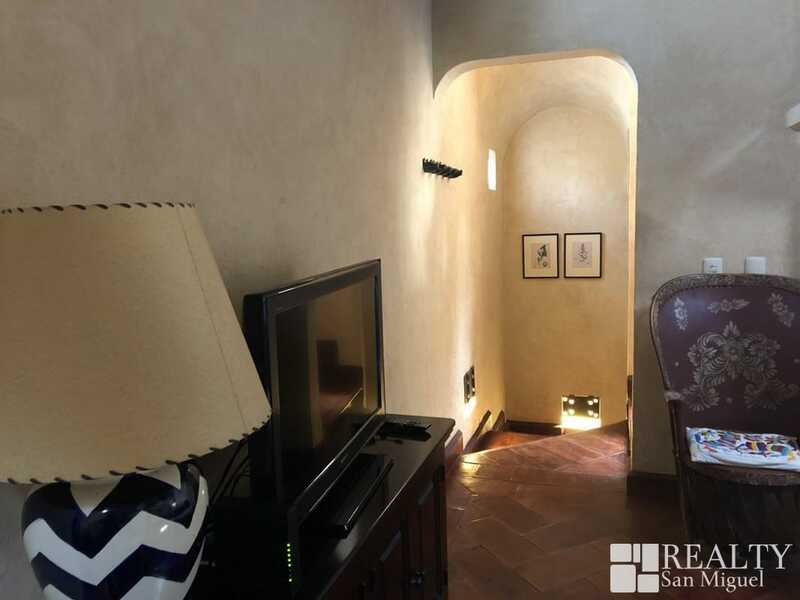 Casa Fortuna is near the end of a quiet dead-end street with very little traffic. 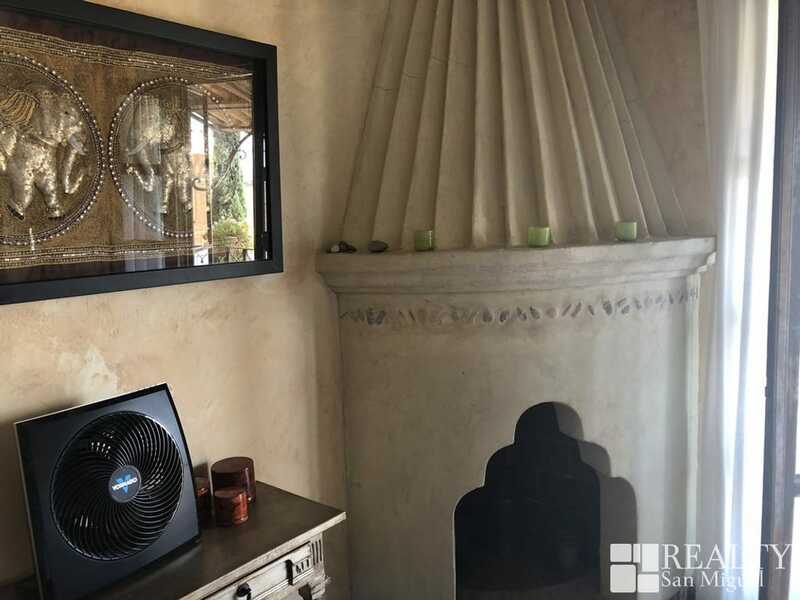 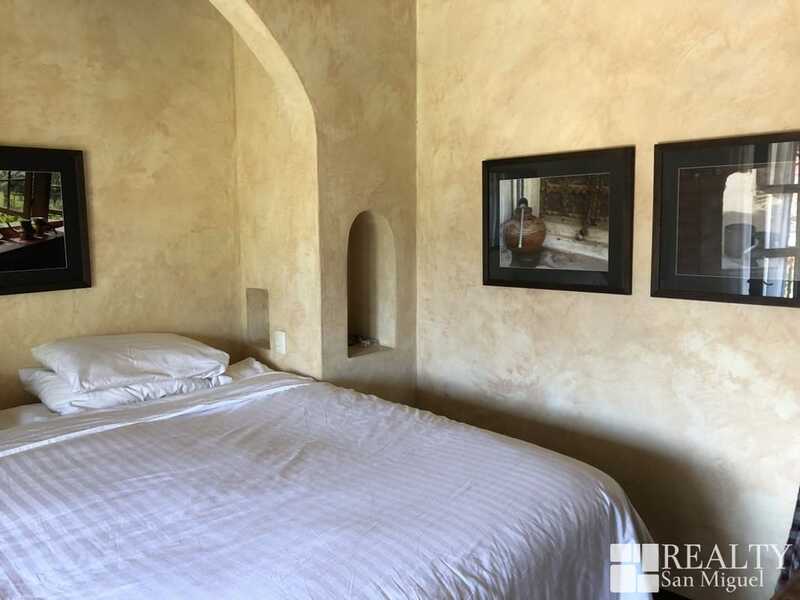 The house is surrounded by mission style walls and is fully secure. 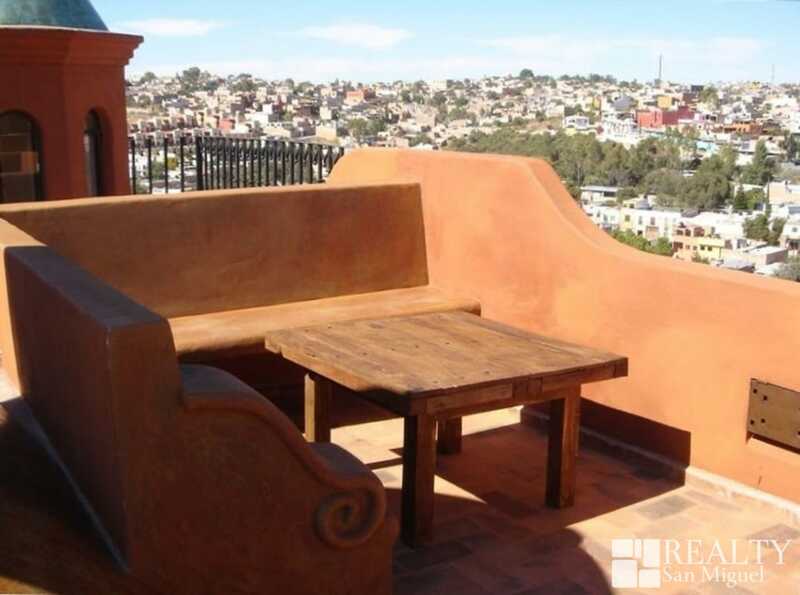 Taking advantage of the copious sunshine, the house is now powered by solar electricity. 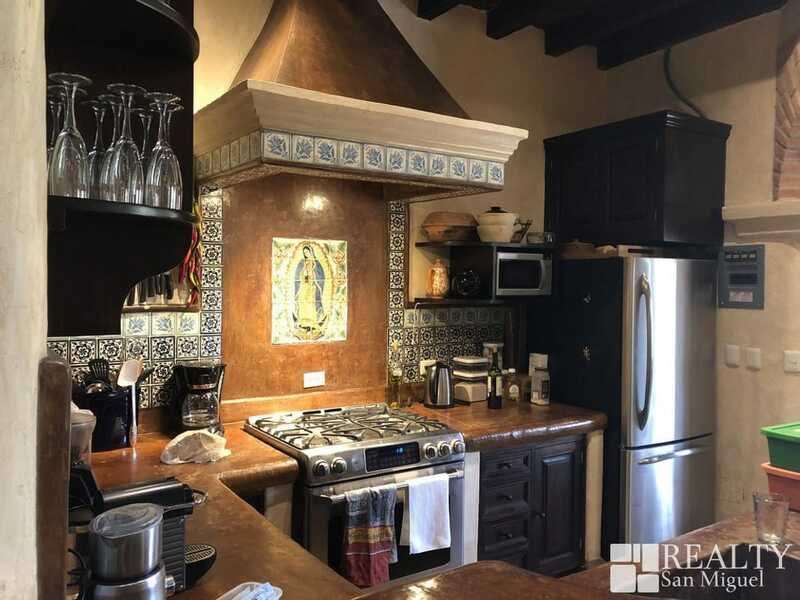 The kitchen comes a blender, food processor, hand mixer, toaster and coffee maker, We have added a Nespresso espresso maker and milk frother to the kitchen. 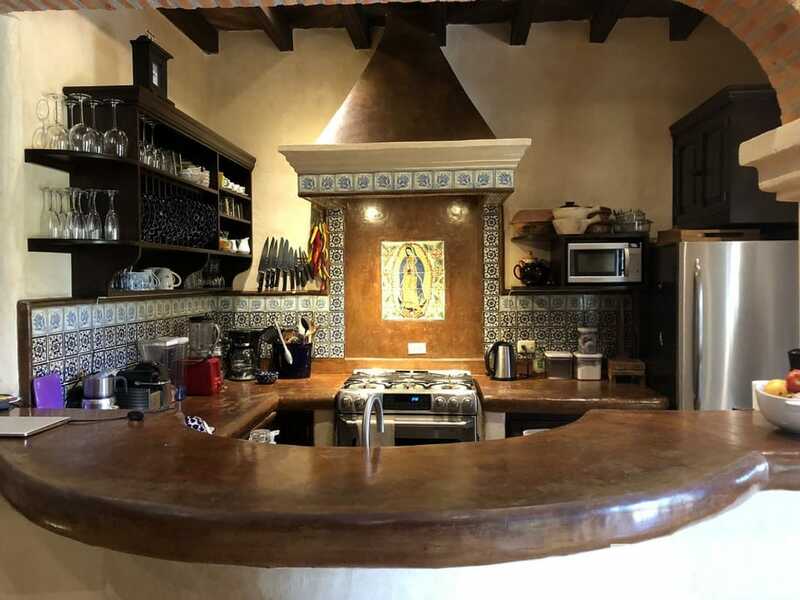 Bring original Nespresso pods with you or purchase Punta del Cielo pods at La Comer supermarket. 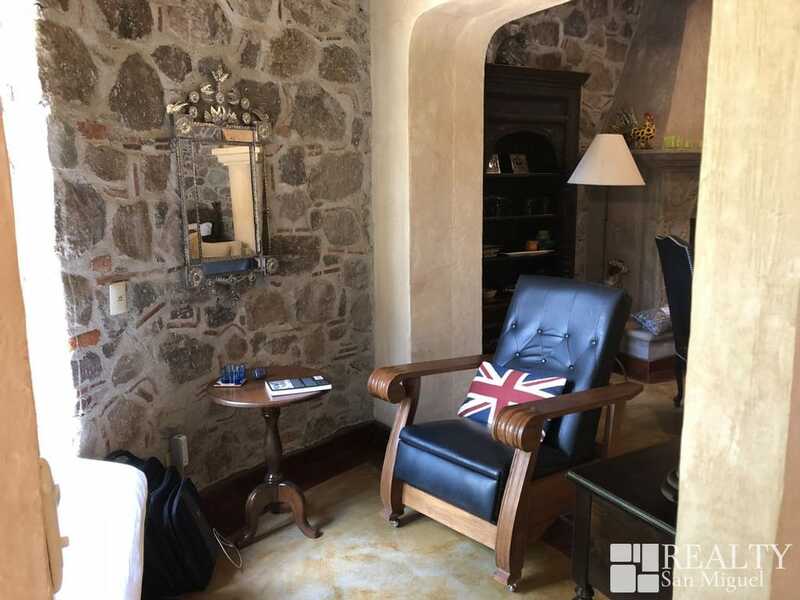 Rental includes maid service three times per week, if daily maid service and or cook are needed this can be arranged at very reasonable rates. 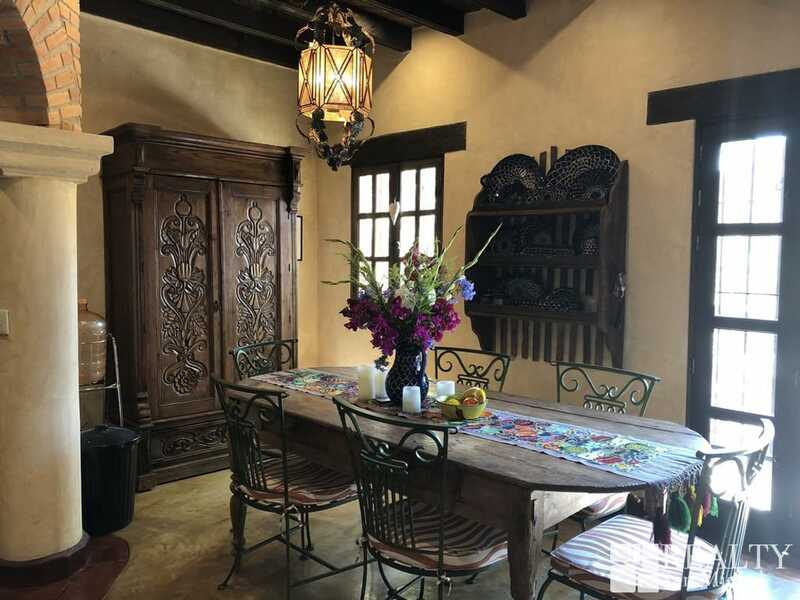 Maid service includes cleaning, kitchen and dishes as well as laundry of linens and towels. 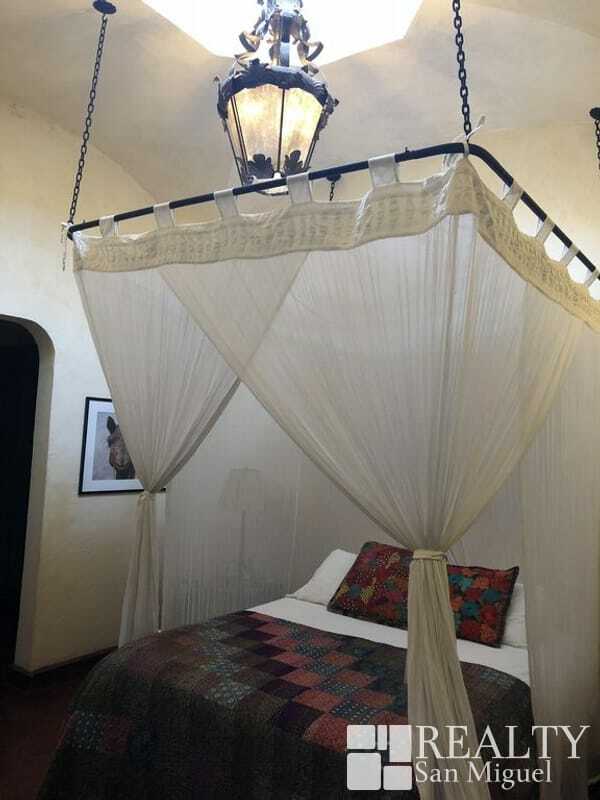 If you wish personal laundry and ironing it can be arranged at an additional cost through the house manager.